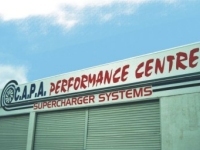 CAPA Performance entered the Forced Induction Industry some years ago, and quickly became known as a leader in the industry for the supply of a quality and well designed and manufactured product. It has achieved unparalleled success with its affiliation with major supercharger manufacturers in the United States - such manufacturers as Vortech, Paxton, Powerdyne, Eaton and B&M. With the vast range of products available in the market place, one of the secrets to CAPA's success has been the implementation of the correct product for the right application and ultimately, engineering and ancillaries to enhance the system. The question you may ask yourself is: Why should I supercharge and what is the best supercharger? Motivation to supercharge is generally the enormous amount of power obtained, combined with a predictability of both power and torque delivery, and the retention of original drive smoothness. Post supercharged economy (whilst driving as normal) is generally better than standard. Emissions certification is easily obtainable. The two major differences in the supercharger products are positive displacement (eg. Eaton) and centrifugal (eg. Vortech). The positive displacement delivers boost in greater quantities down low in the rev range, whereby the centrifugal delivers its boost linearly throughout the rev range. Factors such as intercooling, size of engine, horsepower required, and boost required will affect the choice of product to be used. As you will see on this website, a full range of associated products that compliment the forced induction process are now available in Australia. Products ranging from complete water injection kits to electronic componentry. 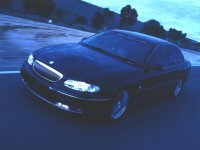 Sections of this website have been devoted to one of Australia's most popular modified motor vehicle, the LS-1 V8 Holden Commodore. After extensive engineering and subsequently producing the LS-1 supercharged system (intercooled and non-intercooled), CAPA has now profiled a complete product range for this particular vehicle. You will also notice CAPA has now diversified into conventional performance accessories, ensuring the supply of fully engineered componentry with a guaranteed result. Creating the future today has ensured today is certainly an exciting time for our industry and ultimately, exciting times for you, our valued customer. Get out there and enjoy!